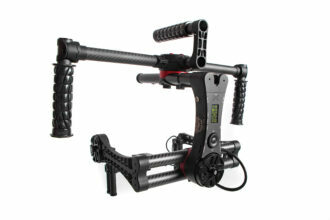 The Beast Gimbal is the most advanced digital 3-axis camera stabilizer. Brushless motors, several precise sensors and a sophisticated control firmware ensure the smoothest camera movements ever. Exceptionally light (only 6.5 lb) for maximum payload of 13.23 lb. 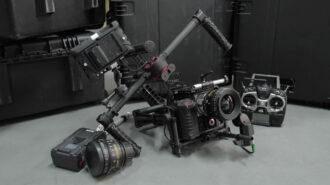 Successfully tested to work with the best cameras, to name the few: RED Epic, RED Scarlett, Sony FS7 and F55, Canon C300 and C500. Settings are easy to customize thanks to it’s OLED screen and embedded speaker. Equipped with Follow Mode to ensure genuinely cinematic and really stable shots. Available with Thumbstick and Remote Control Units. 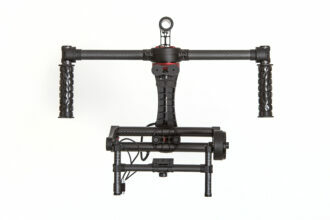 The Beast Gimbal is also designed to work with cranes and multirotor drones. Using a stabilizer has never been so easy! Krav Maga FEKM by Sylvain Didier. Copernicus Centre BTS with Black Media. 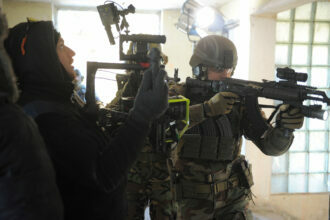 Shooting army with The Beast Gimbal on site. RED & The Beast by Alex Jentz. 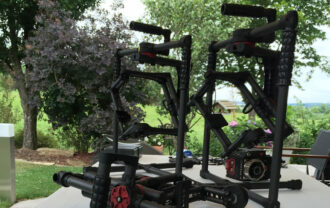 Monster X and The Beast Gimbal by Sky High Media. Cine Black Pearl with The Beast on board by Movimento France. Poolution by Waldemar ‘Waldi’ Müller. The Beast Gimbal with RED. Production impression by LAUSCHSICHT. 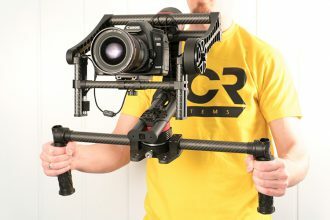 CANON EOS C300 MARK II and ACR gimbal in use. “Making of” / BTS shots. Short movie from Copernicus Science Centre (Centrum Nauki Kopernik) with Black Media. Short movie from Copernicus Science Centre (http://www.kopernik.org.pl/en/). Filmed on the Sony F55 and A7s using the ACR gimbal by Flying Fern Films. Community showcase 2015 – taken with ACR gimbals. SWISS maintenance Cabin works by Lauschsicht. Shot on a Canon 5K MKIII with Magic Lantern. FS7 and The Beast Gimbal. Short video material from NAB 2015. 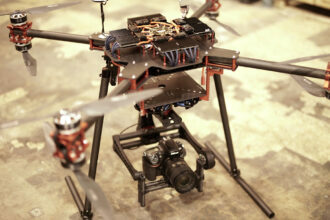 The Beast Gimbal flying with Monster X. The Beast Gimbal while shooting action. 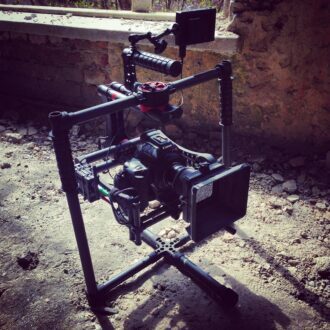 The Beast Gimbal rests after shooting in ruins. The Beast Gimbal tutorial  – System Components. The Beast Gimbal tutorial  – Mounting Camera. 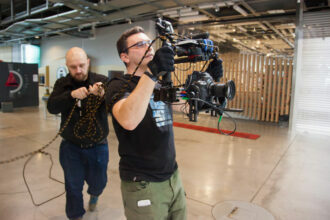 The Beast Gimbal tutorial  – Balancing Tilt Axis. 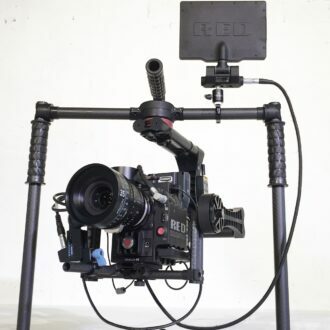 The Beast Gimbal tutorial  – Balancing Roll Axis. 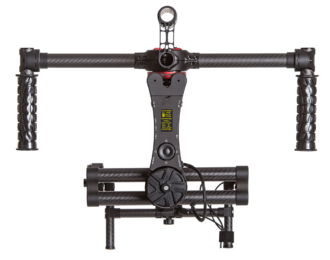 The Beast Gimbal tutorial  – Balancing Pan Axis. The Beast Gimbal tutorial  – Manager App Overview. The Beast Gimbal tutorial  – Onboard Manager Basic Functions. The Beast Gimbal tutorial  -Service Mode Boot-Up. The Beast Gimbal tutorial  -Initial Configuration & First Time Run. The Beast Gimbal tutorial  -Xtended Stabilization. The Beast Gimbal tutorial  – Follow Mode. The Beast Gimbal tutorial  -Advanced Features. Remote Control. The Beast Gimbal tutorial  – Advanced Features. Graupner MZ-12. The Beast Gimbal tutorial  – Advanced Features. Real Inverted Mode. The Beast Gimbal tutorial  – Advanced Features. Working with Profiles. Rider gimbal by Movimento France. 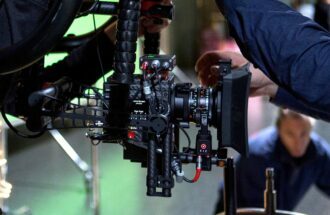 One of The Beast Gimbal greatest feature is its OLED screen and control panel, connected with the unique OnBoard Manager software. This allows full configuration without any kind of external input. The Beast can tell you about current configuration, running profile, battery status and many other things with its own voice – it is a talking gimbal (but can be muted, if needed)! The OLED screen is clearly visible even in bright sunlight. The “magic” of The Beast resides here – you have full control over this amazing piece of engineering, just using this small screen and keyboard. You have direct access to every important function either during the preparation process or live shots – it takes seconds to set! This feature make you completely free from using either computers or tablets to set the gear up. It is plug’n’play – a new standard! 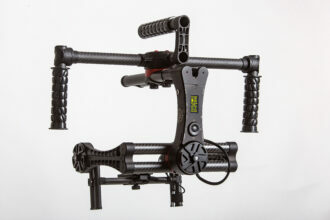 The Beast Gimbal is powered from standard, small Li-Ion batteries or large Li-Po battery. The Beast itself can work on small batteries alone for more then 12 hours. The Intelligent Charger with built-in balancer allows to charge both types of batteries with correct settings. Thanks to two auxiliary power LEMO outputs also external accessories can be powered up straight from the main power source, including wireless follow focus systems, wireless video transmission and the camera itself. 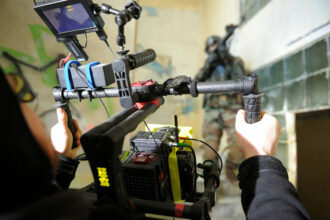 Using large battery you can power up even the RED Epic along with accessories. Three motors are responsible for the rotation of The Beast Gimbal. Each motor includes an angle encoder – a sensor that allows counting each axis angle rotation in real time, to the nearest of hundredths of a degree. In combination with the other two 3-axial gyroscopic sensors and accelerometers, it monitors and maintains the horizon leveled. Twin powerful Cortex cpu process data and along with advanced coding, turn your “shaking” running into clear shot. The motors, custom-built for The Beast, match the requirements of maximum power and exceptionally smooth transitions between angled camera positions. Solid and compact construction, thanks to the usage of various aluminum alloys, inter alia, rigid 7075 aluminum (most lightweight aircraft aluminum), carbon fiber, and special type of finishing – anodization – provides a matt look and no glare when shooting. The hybrid technology ensures your production to be genuinely cinematic and truly stable. So run, jump or travel as quickly as you want with your The Beast! The Beast Gimbal usage it the simplest possible. You do not have to deal with strange parameters of PIDs. Our solution has only three power sliders. That’s it! It is even more simple when introducing the special algorithms to setup the power in the Autotune procedure. Using a stabilizer has never been so easy! The unique Follow Mode allows you on smooth and truly cinematic shots based on natural movement control system. Unique way to control The Beast Gimbal by second operator is to use ACR The Link, RC receiver and transmitter modules, that allow you to move the camera intuitively in real-time with your body movements. You can pair one of The Links with any piece of gear you can think of and control the other Link attached to your stabilizer – possibilities are endless! Dedicated Thumbstick or external remote control devices enable you full control of your camera position. The basic operating mode, Xtended Stabilization, keeps your camera in defined position, regardless of the gimbal emplacement. 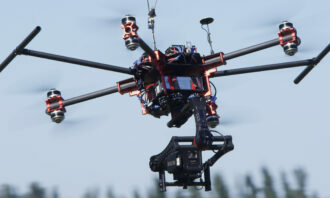 This is usually used with remote movement control on multirotor drones, cranes, JIBs. When you want the stabilizer follow your movements, switch to the smooth Follow Mode. 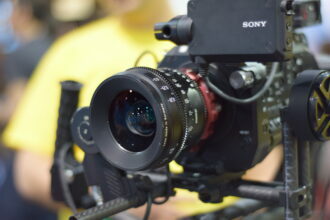 It can be configure out to have needed delays and remove unwanted jitters and tilts when filming in real time. This function can be toggled on for all three axis separately. Each of the movement control options can be used in global mode called Inverted Mode. In this mode The Beast is working upside down and the camera is above the handheld module. That allows natural, eye-level shooting without using too much strength from the camera operator. In this mode, the built-in camera feedback screens is also used, instead of external ones. The Inverted Mode is also adapted when The Beast attached to RC cars, JIBs and other platforms. The classic use of The Beast is within operators hands. Various gear setups allow the use of several advanced functions thanks to implementing remote control devices or joysticks. 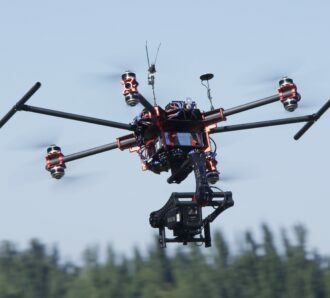 After removing the top handheld module the device becomes a classic gimbal – a stabilizer dedicated to be used with copters. Using the Xtended Stabilization along with remote control input you can achieve amazing results! The versatility of what can be done with The Beast surprised even us – the creators. The Beast in handheld state, handled over JIB arm, stabilizer on a performance RC car, stabilizer on a paraglider, on a boar, in the air, in a car, on a rope, under an EasyRig weight support system. The creativity of ACR The Beast users has no limits! Exceptionally lightweight construction – weights only 6.5 lb (2,95 kg)! Use The Beast with The Link for wireless control. Learn more. ACR Manager doesn't connect to ACR The Plus. Please update your USB with drivers, compatible with your operating system. How can I easily find out which version (V1 or V2) of The Beast I have? 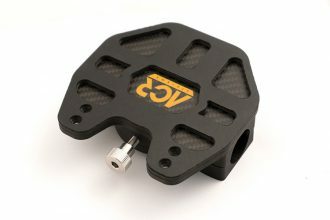 The Beast V2 has LEMO connectors at DC IN, DC OUT and camera shelf power source. The Beast V1 does not have those. How can I check The Beast firmware version? While The Beast is powered, you can check that in DETAILS -> Details Screeen. What is the best setting for micro vibrations? For micro vibrations you should have higher filter. Although we recommend to check balance and motor strength. It is good practice to adjust motor strength and then set filter as low as possible. Can I connect large battery while there are small batteries connected to The Beast? No, you can't. The Beast can be powered by only one power source at the time regardless it's large battery, small batteries or Vlock battery. If you connect two source of power to The Beast you will damage both gimbal and batteries. Why is my gimbal about 30 degrees off the center after startup? Please check Lock and Load connector position. When you mount handheld be sure that LnL connector is pointing east and when you finish it is pointing north-east. The Beast is moving erratically on every axis after its startup. 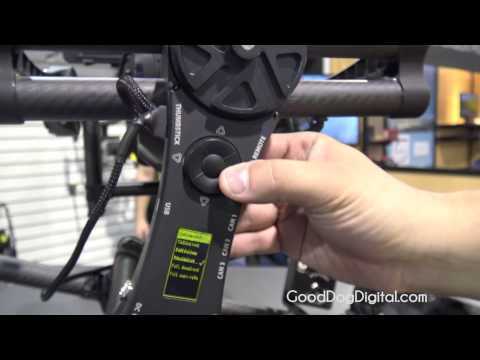 Before you power up The Beast check if tilt motor is on the left side of the gimbal. I have mounted my camera on The Beast gimbal and it has weird vibrations. How can I stop it? Vibrations might be caused by wrong balancing and motors strength. Please check your camera balance. When you will be sure that it's properly balanced start Autotune procedure after which The Beast will set suitable motor strength for your current setup. With some setups you might need to manually adjust motor strength after Autotune.